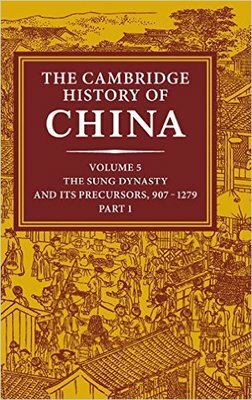 Published as volume 5, part 1 of the Cambridge History of China. Twitchett, Denis Crispin, and Paul Jakov Smith. The Sung Dynasty and its precursors, 907-1279. London: Cambridge UP, 1984. Print.